Our Memorial Day trip, started off by taking a ride through Delaware and into the DelMarVa, where we stopped at Salisbury, MD. This small city on the Eastern Shore of Maryland, didn’t offer too much, though we started at a free zoo which was descent for not having a charge. Dinner took us downtown to the Market Street Inn, right on the Wicomico River, where we had our best meal of the whole trip. 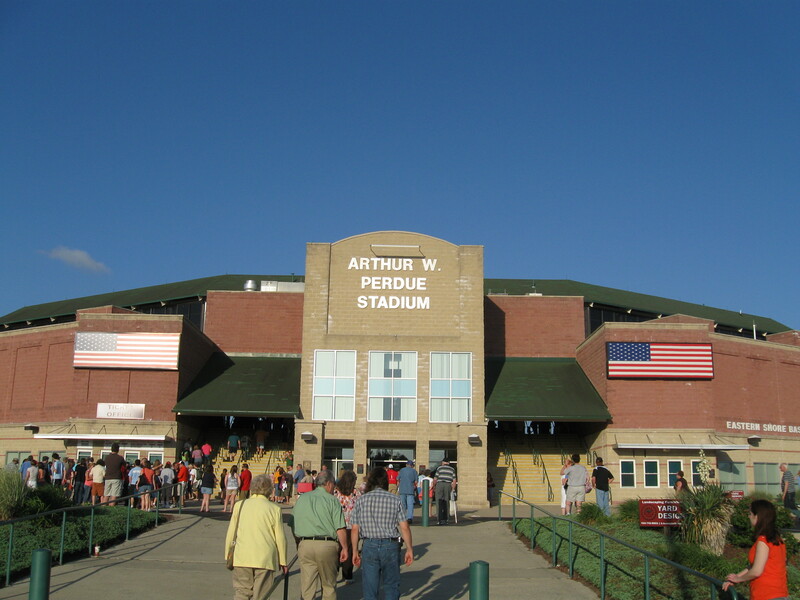 Then it was off to the East side of town to check out Arthur W. Perdue Stadium and a South Atlantic League game between the Delmarva Shorebirds and the West Virginia Power. 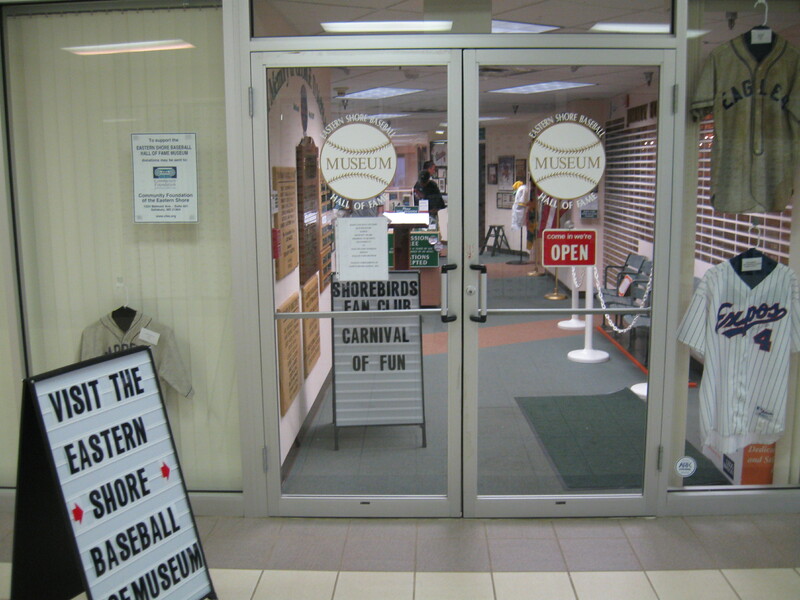 The best feature of this ballpark was the Eastern Shore Hall of Fame located in the hallway of the lower level. I wish I spent 45 minutes down here before the game instead of perusing in game, because what a terrific hall of fame, the best I’ve seen so far at a minor league park. Most of the focus is on the Eastern Shore League in the early part of the 1900s, a league that compared to today’s “A” ball. A wonderful collection of memorabilia from this era is displayed, including newspapers from when Salisbury won the ’37 league title. The man working there was also very knowledgeable and great to talk to as I learned that those Indians were one of the greatest minor league teams ever. 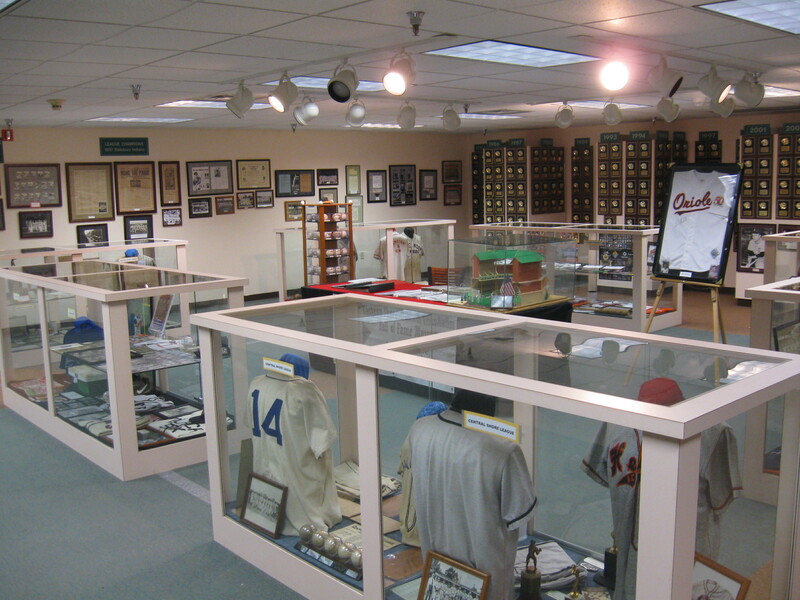 Also displayed was the actual hall of fame and plaques for area players who played in the majors. The ballpark experience itself was pleasant and the stadium had touches I liked and disliked. Starting with the likes, it was great to see a mid 90s facility tweak the design a bit. It is still a one-level facility split by a walkway (slightly more seats in the upper level), however behind home plates things are a bit different. There is the continuous sections of lower seats, but behind that are concessions stands (and the exit to the hall of fame) and a “picnic area” known as the Hardball Cafe. Normally, I’m against luxury seating in this area, but here it fit very nicely. Plus its only $30 for a ticket and buffet in this spot. I did feel they were a little heavy on the bleacher seating and it became a pain when so many people stood in the aisles trying to figure out where to sit. It was a packed house and seeing that is good when conditions couldn’t be any better (perfect weather, Saturday Night, Fireworks). The Shorebirds unfortunately lost the game 5-3 as they flirted with danger too much towards the end. In each of the last three innings, West Virginia put the leadoff man on and then sacrifice bunted him to second. Delmarva’s luck ran out after escaping the 7th and 8th, as the Power had a double and triple in the 9th to take the 5-3 lead and then win by that score. For a full, detailed review click here or head on over to Stadium Journey where a review will be posted soon. 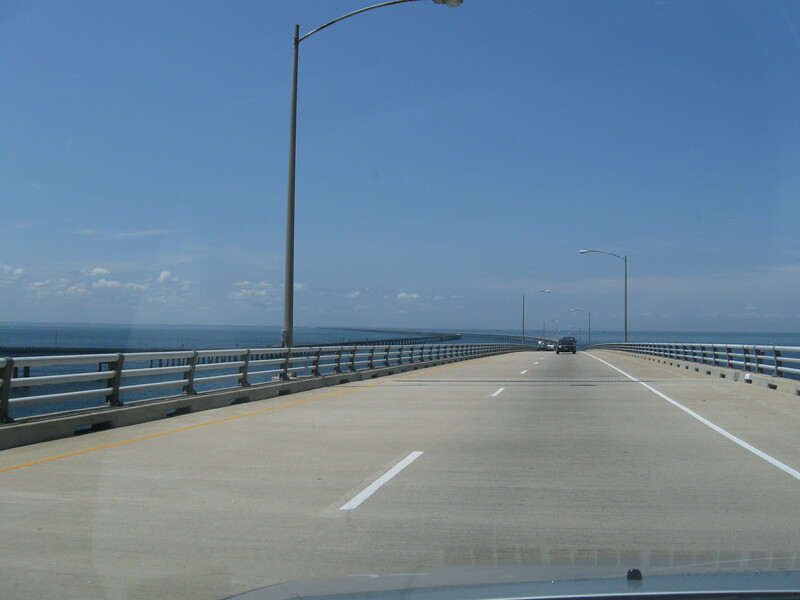 The next morning, we drove down to Norfolk using the Chesapeake Bay Bridge. Heading in, I did not realize that this is the longest bridge-tunnel in the world. What an amazing architectural marvel this is and we even took a little time out to stop at the visitor center to check things out. We might as well get all of our $12 toll worth! Off the bridge took about 15 minutes more to get to Harbor Park, home of the AAA Norfolk Tides. When I went back and did my review, it rated so well in many aspects and I’m not sure why I didn’t like it more. 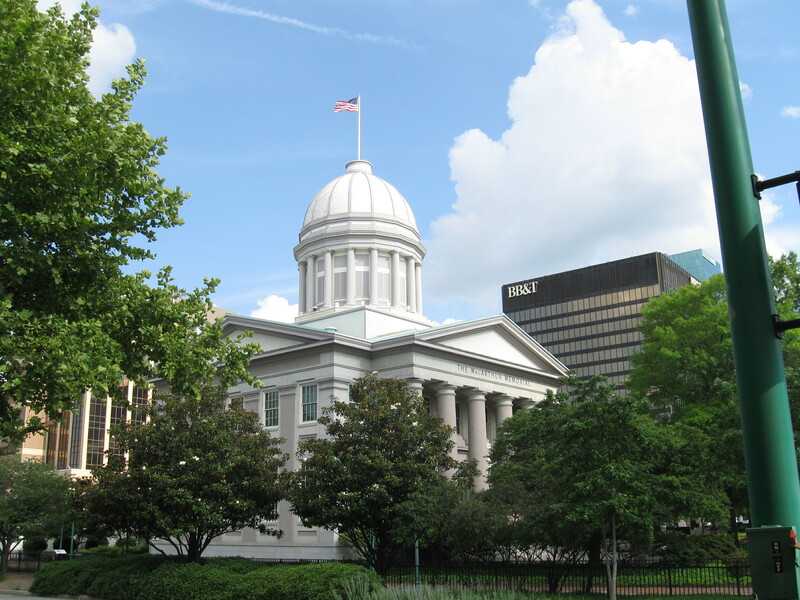 Its in a descent location (just a mile away and nearly walkable to Norfolk’s quiet, but terrific downtown) and easy to get to off of I-264. The exterior is appealing, built with beige and light brown coloring, trying to evolk a few of Norfolk’s older building architecture. Concourses were open with a full field view and there were many food options (but none featured any local establishments, with the exception of O’Connor beer products). The inside design was terrific. Very similar to Syracuse, but this ballpark came first and I loved the seating design and the very clean look of the second level with seating, patios and press box/suites. What might have turned me off a bit here was the lack of atmosphere and crowd. It was a hot, Sunday afternoon game and it was rather empty. 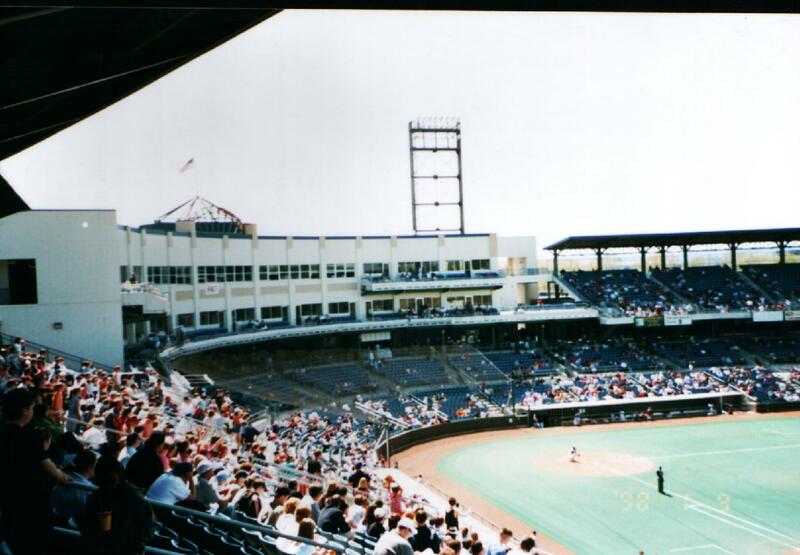 That same day and time both Buffalo and Lehigh Valley brought in over 8,000, but the announced crowd here was only 4,289. The atmosphere was just kind of blah and again maybe the hot weather had to do with it. Secondly, given the name of the park, I was expected this beautiful view overlooking a harbor. Instead, the Elizabeth River is filled with cranes, cargo ships and beat-up buildings (see picture below). Not exactly breathtaking, plus the scoreboard’s obstructing the nicest part of the view, the water. But stepping back and realizing that Norfolk is one of the busiest ports in the East (and even the world for that matter), you have to realize that its a working harbor. Those two things might have skewed my opinion a bit on what otherwise is a terrific ballpark. 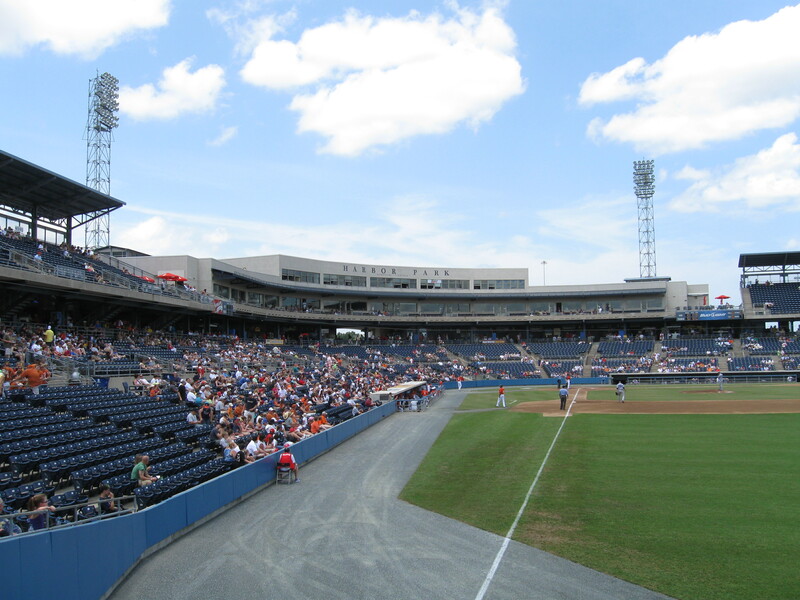 It’s probably my favorite design so far in AAA, but ranking the experience is just a bit below Rochester and Lehigh Valley. As for the game, the first place Columbus Clippers beat the last place Tides in 10 innings 6-5. For the full review click here. One other note regarding the Tides. Being a Rochester Red Wings fan, I saw first-hand the ineptitue that the Baltimore Orioles had in the Peter Angelos regime. It occurred both at the major league and minor league levels as the Wings tanked in the late 90s to the early 2000s until finally breaking the relationship and paring up with the Twins in 2003. 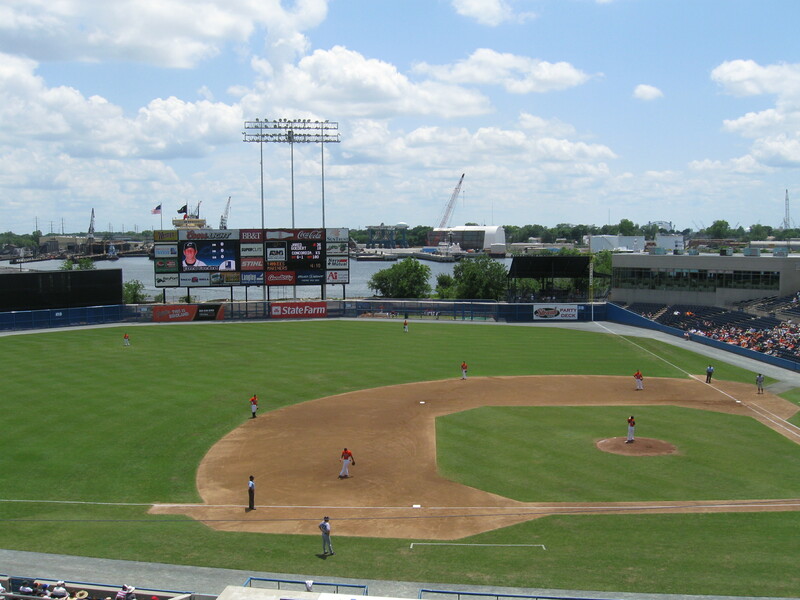 Now that Norfolk has suffered with Baltimore for four seasons (with losing records each year), maybe that is one of the reasons attendance has continued to decline for seven straight years. 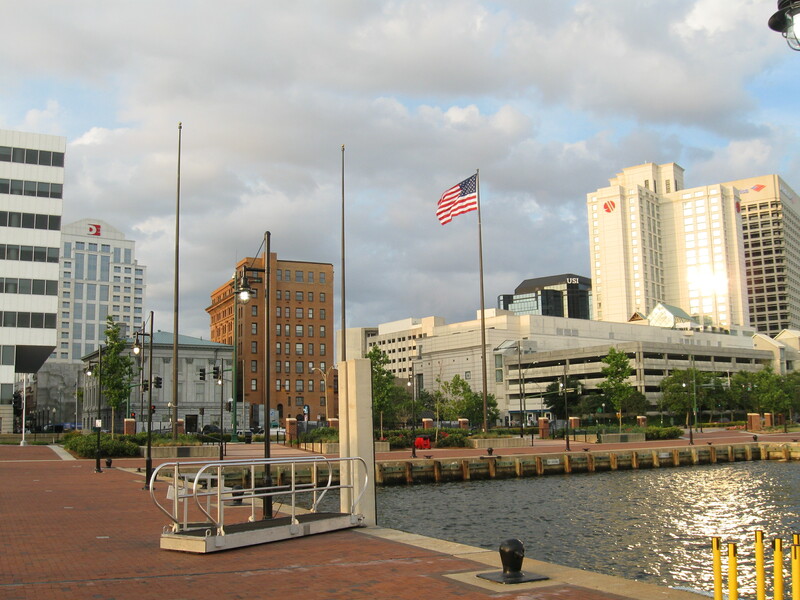 The rest of our trip was terrific as I was pleasantly surprised at how nice downtown Norfolk is. They did such a great job revolutionizing this area and we had perfect weather to stroll around in. After the game, we first checked out the MacArthur Memorial, which is free and very informative. After dinner on Granby Street, the best part of Norfolk likely is the waterfront on Waterside Ave. Walkways allow people to stroll and take in the water views, along with the occasional ships and cruises passing by. There is a market there, along with Town Point Park which hosts festivals and concerts. In that park, we saw a very poignant memorial for an area that has seen so many servicemen and women off to sea and war. The memorial contained real letters in bronze statues that look like they were blown in the wind and it was a very meaningful, emotional square to read and walk through. Later in the trip, on our way home Tuesday, we stopped at the Norfolk Botanical Gardens…sometimes bigger is not better as we won’t overly impressed. 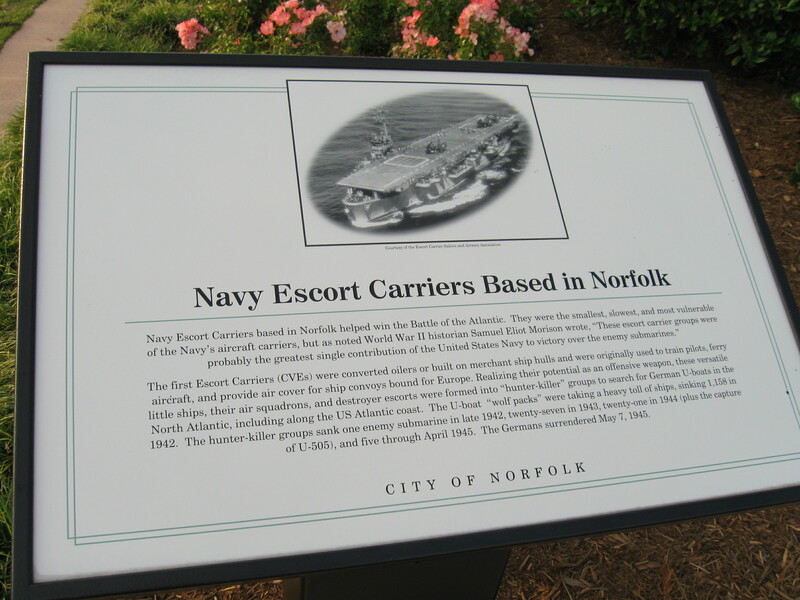 One thing I really loved about this city was how there are markers throughout describing about the city’s history and it serves as a way to display how important Norfolk for the military and marine transportation/shipping. 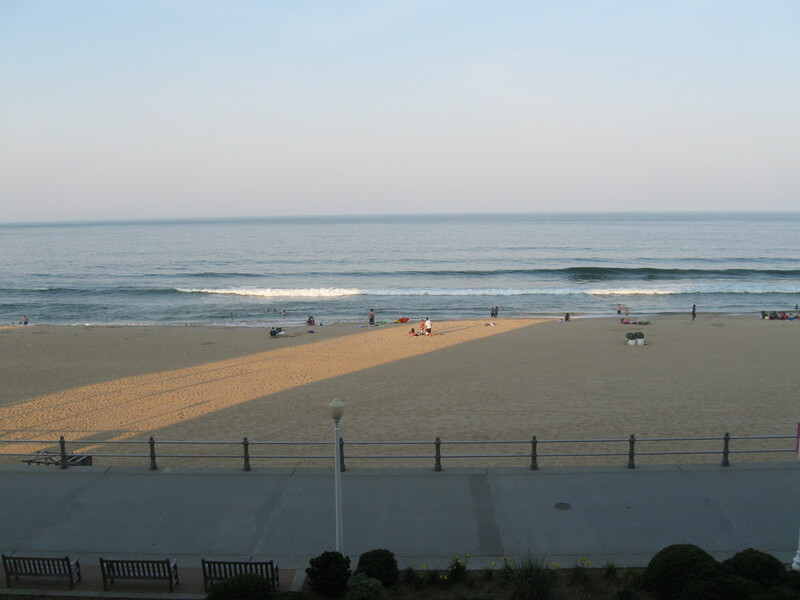 We then spent the next day in Virginia Beach. No sports facilities there on The List. The only close one is the 6,000 seat Virginia Beach Sportsplex, where many minor league soccer teams have played. However, they may soon be added onto The List as there are plans to expand the stadium to accommodate the UFL’s Virginia Destroyers in the 2011. We shall see if that goes through. Anyway, I found it very interesting that Virginia Beach is the 39th largest city in the US and the biggest city in Virginia. This is deceptive because Norfolk acts like the city (complete with downtown and the focus for the economic sector), while Virginia Beach is more like the suburb. Because its boundaries are much bigger than Norfolk’s, the population and size is bigger at VB. 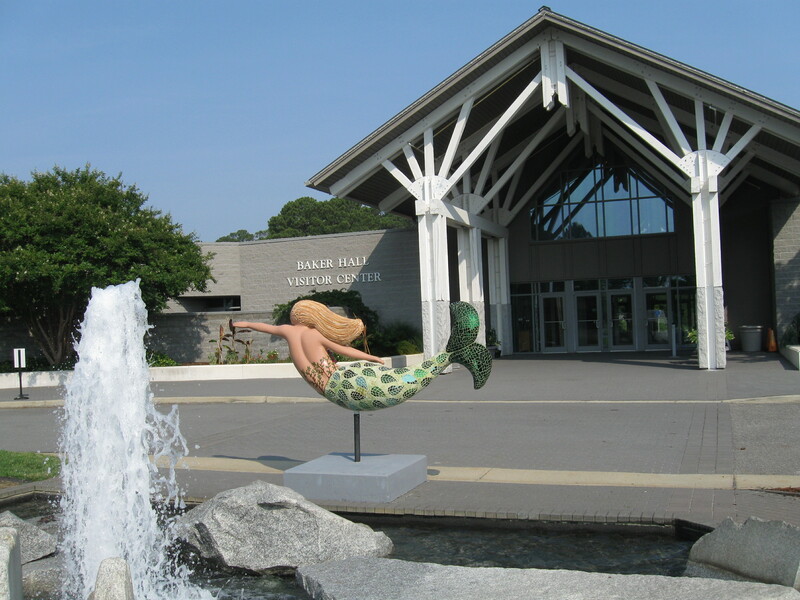 We started the day by heading to the Virginia Beach Aquarium which was pretty cool. Initially, we had plans to see Cape Henry, but the aquarium took awhile, so the rest of the day was spent at the beach, more for the wife’s enjoyment than mine. 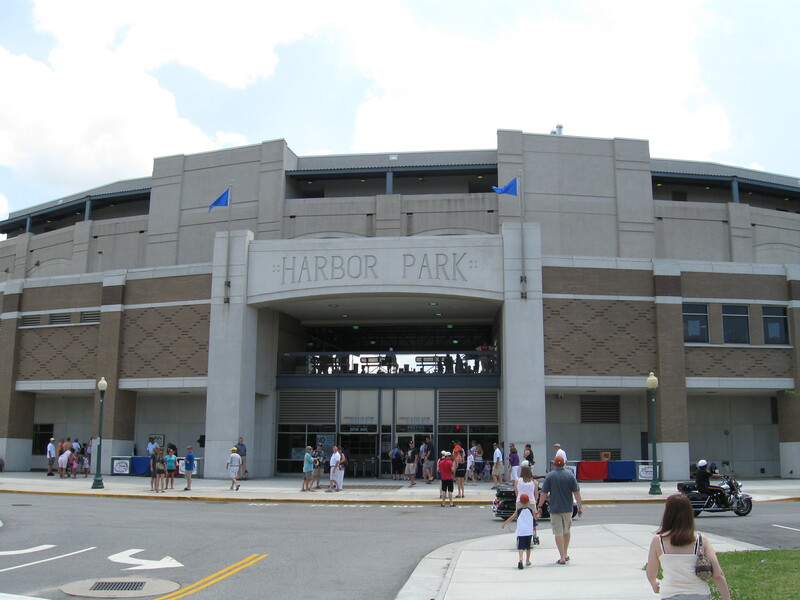 All in all, a great trip, with two new facilities visited and a good time had at Arthur W. Perdue Stadium in Salisbury and Harbor Park in Norfolk! Hey this is great man! Thanks for posting it on Stadium Journey. My personal goal, which is too blogged at a wordpress site (www.theviewfromhomeplate.wordpress.com) is to see all minor, indy, and major league ballparks in Canada & the US. This was a welcome surprise to read on a Monday morning! If you don’t mind, I think I will list you on my LINKS page on my site. We crazy stadium and ballpark fans got to stick together! Thanks a lot, much appreciated! 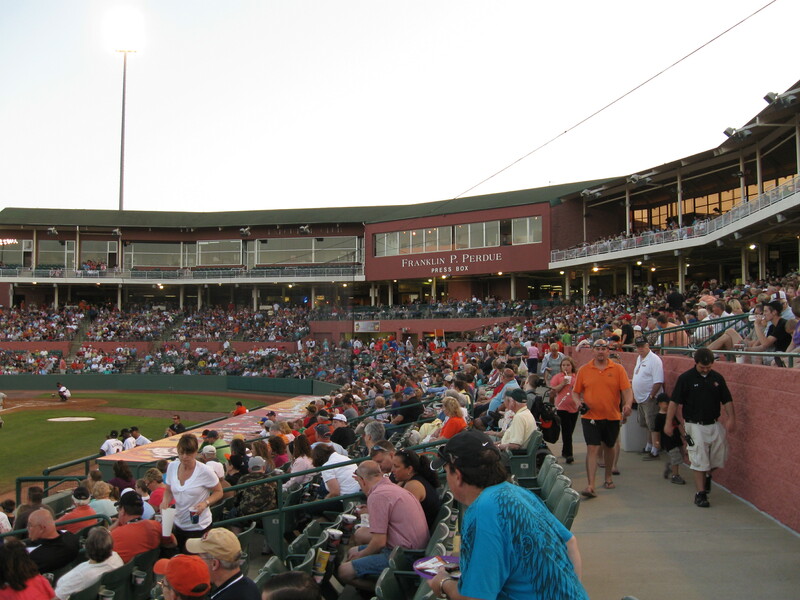 Ballpark chasing is certainly a fun hobby and a great way to see the country. Good luck on your goal and I enjoyed checking out your blog. I will add it to my links as well. Take care! Also, the writing was very personal and easy to read for a fan to follow. I do appreciate your listing the prices of food and the detail about the HOF there at Delmarva. I think your photos spoke very highly about Norfolk! If you think that’s a great ballpark try Memphis’s AutoZone Park sometime!